Shawn Askinosie, founder of Forbes-recognized Askinosie Chocolate company, is the keynote speaker for the first "Doing Good Business" dinner hosted by Middle Georgia State University's School of Business. The event - sponsored by Christy Capital Management Inc. - takes place at 5:30 p.m. Thursday, April 12, in the banquet hall of the Hatcher Conference Center on the University's Macon Campus. Tickets are $50 per person or $275 for a table of six. Tickets may be purchased at https://www.mga.edu/doing-good-business. Hatcher Conference Center is located in the Professional Sciences Center. A campus map is at https://www.mga.edu/about/campuses/docs/macon-map.pdf. The "Doing Good Business" inaugural speaker left a successful career as a criminal defense lawyer in 2005 to start a bean- to- bar chocolate factory and never looked back. Askinosie Chocolate is a small batch, award-winning chocolate factory located in Springfield, Mo., sourcing 100 percent of its beans directly from farmers. 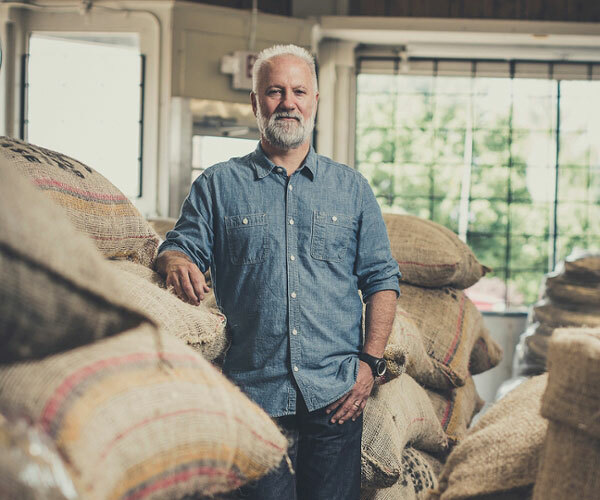 The only chocolate maker working directly with cocoa farmers on four continents, Shawn Askinosie travels to regions of Ecuador, Tanzania, and the Philippines to source cocoa beans for his chocolate. This allows the chocolate to be traced to the source and labeled authentic single origin. It also enables Askinosie Chocolate to profit share with the farmers, giving them a “Stake In the Outcome,” a principle he learned from author/entrepreneur Jack Stack. Recently named by Forbes as "One of the 25 Best Small Companies in America", Askinosie Chocolate has also been featured in The New York Times, The Wall Street Journal, on Bloomberg, MSNBC, and numerous other national and international media outlets. Middle Georgia State's “Doing Good Business” speaker series will be an annual event sponsored by the School of Business to help raise the profile of the University and to boost awareness of values-based business. The event is open to School of Business students and faculty, as well as the general public. News media are cordially invited to cover this event. For additional information, contact Dr. Kenny Holt, dean of Middle Georgia State's School of Business, at 478-471-2724 or kenny.holt@mga.edu.